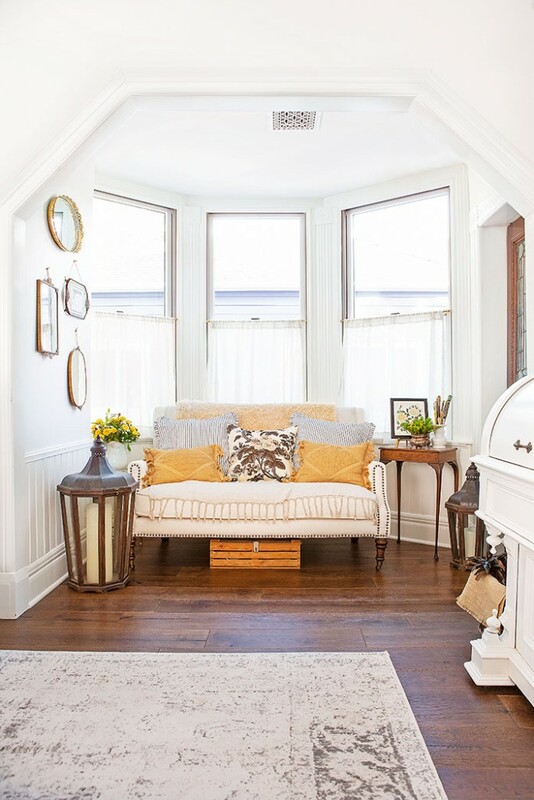 Kelly Wilkniss of My Soulful Home invites us over to tour her historic renovation. Residents of snowy regions around the world have been California dreaming for a while now. “Home in Pasadena, home where grass is greener,” goes a 1920s song about the Los Angeles suburb. 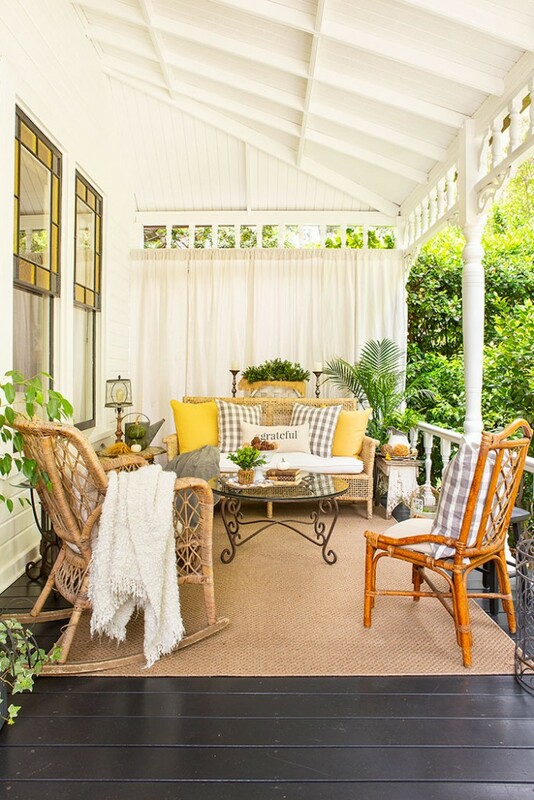 But even earlier still, back in the 19th century, Pasadena was renowned for its generous sunshine, lofty palms and perennial roses. 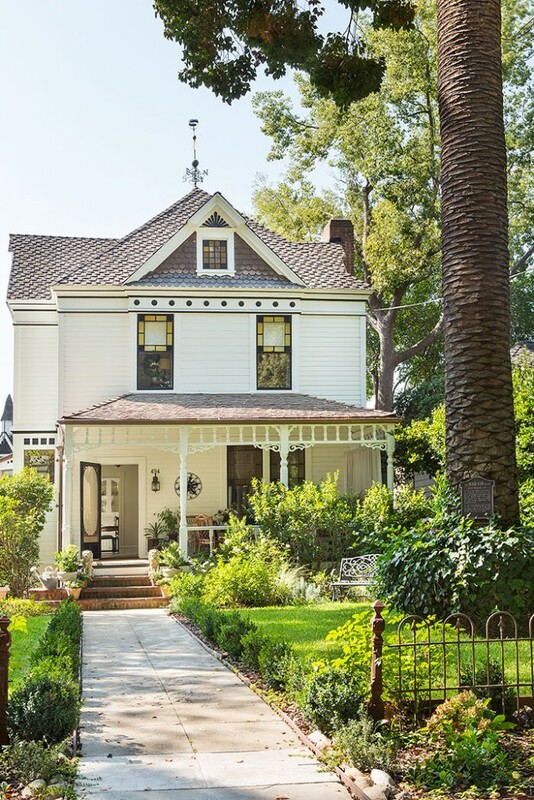 And no one might know this better than designer, author, blogger and podcaster, Kelly Wilkniss, owner of her very own piece of Pasadena history. Kelly and her family reside in a Victorian house built in 1886, the fortunate result of a particularly harsh Midwest winter, she says, recounting excitedly everything she knows about her home. The house was one of the original dwellings built for the Indiana Colony, a group of Indiana residents who fled to the verdant, rolling hills of Pasadena. In this case, the grass was actually greener, or at least Pasadena has its beautiful roses. 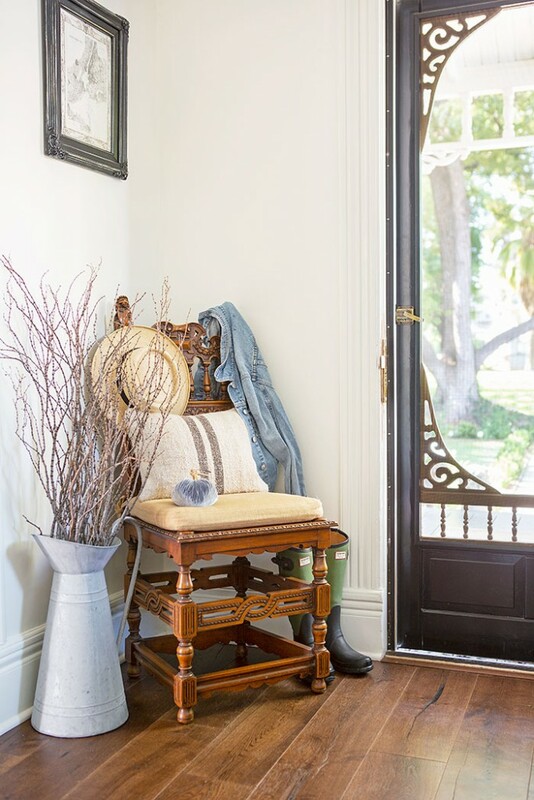 Found in the entryway, this gorgeous chair is paired with an urn full of reeds to add height. Kelly’s Victorian staircase also features a unique statue that lights up. “In the 19th century, this meant the house was fully paid off,” she reveals. But it took a while for this Victorian to bloom. First it was moved from the corner near the Rose Bowl to its current location, a move Kelly confirms a prior owner had made. Later, another owner, the man Kelly purchased the house from, had left the property and back barn full of rubbish. 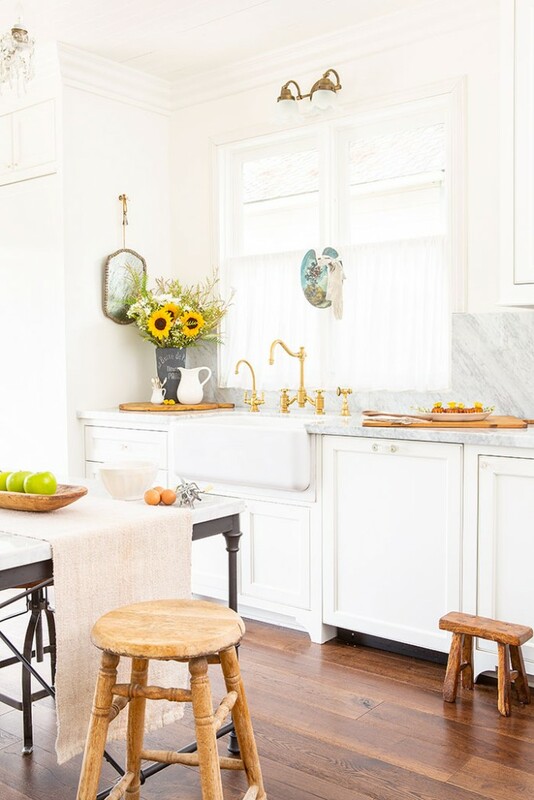 “Oh, you wouldn’t believe what was out there—random things, Trader Joe’s receipts, about 27 phone books and several cars.” It took Kelly nearly a year and a half to install all the electrical updates and fully renovate the property. 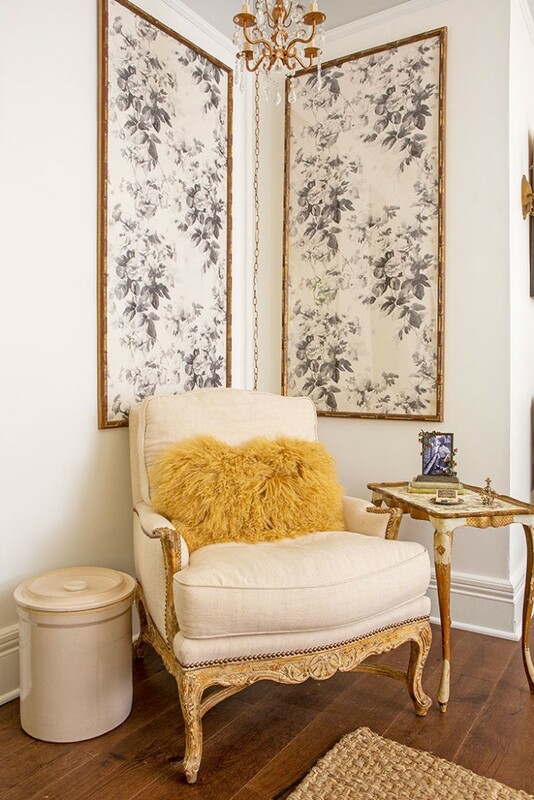 “I didn’t want to commit to wallpapering the whole room, so I slipped some toile wallpaper into these frames.” The tall frames help guide the eye up the corner of the room. Kelly unearthed these chairs from the property’s barn and had them cleaned up and reupholstered. A garland and papier-mâché cherub adorn the mirror. 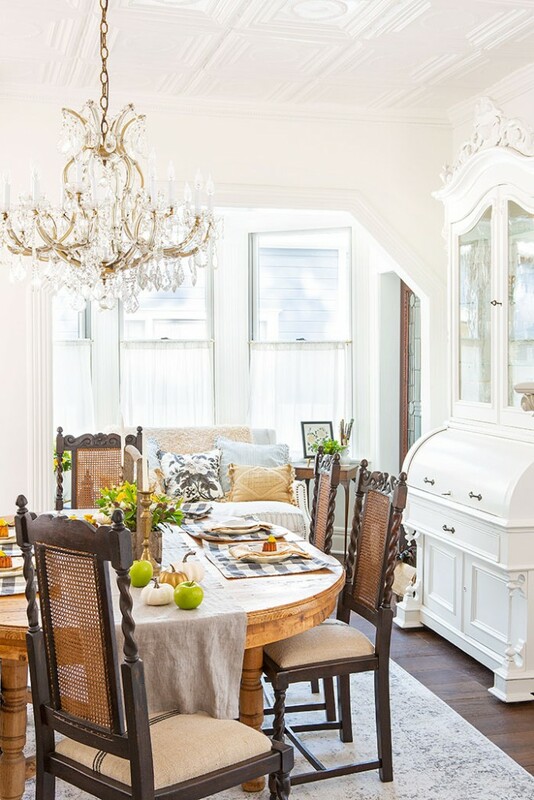 The formal dining room is fashioned with an antique oak dining set to contrast against the white surroundings. 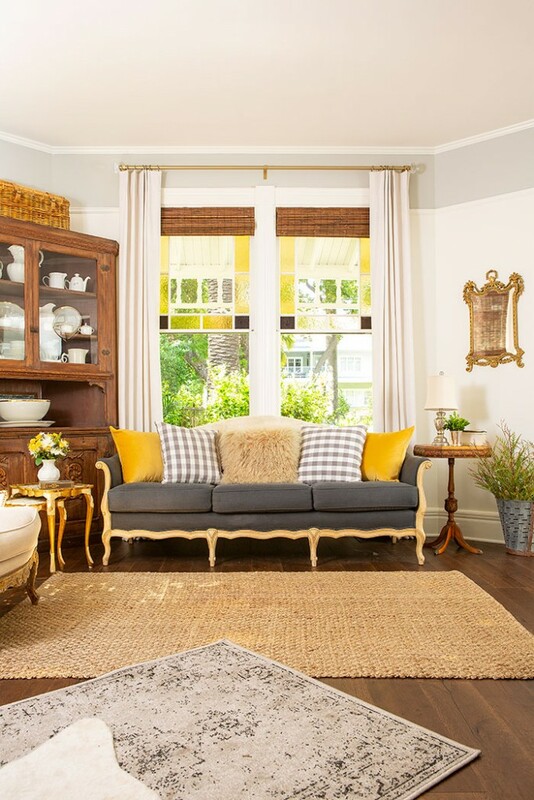 On the opposite side of the dining room sits a settee topped with comfy yellow pillows. The vintage mirrors on the wall are actually a collection of vanity trays. 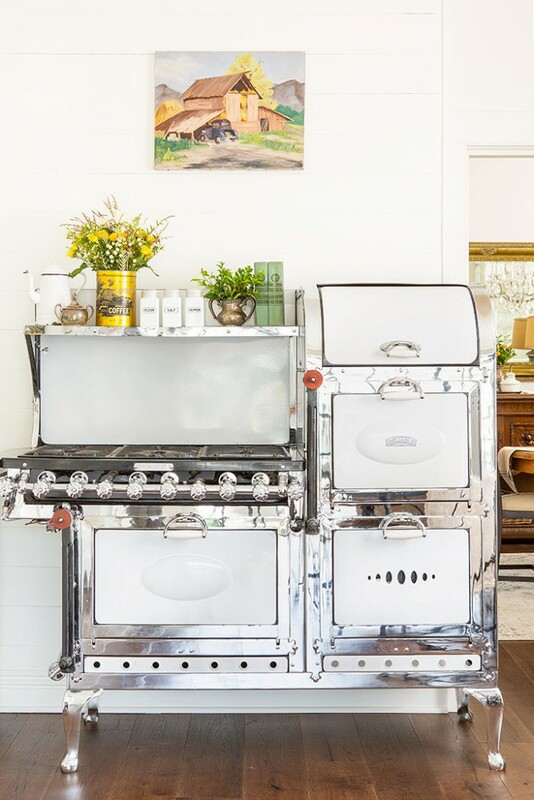 The stove is original to the home, but needed to be fixed and thoroughly cleaned before it was safe to use. Above the stove sit odds and ends Kelly has collected over the years, such as an old coffee tin and a set of vintage Sears cookbooks. 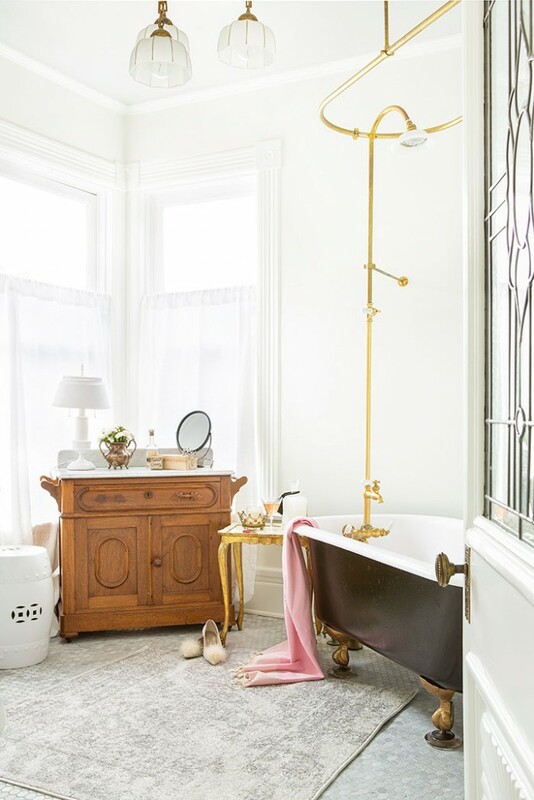 The bathtub is original to the house, but Kelly updated the space, hanging a trio of light pendants she made from sconces. Each is hung at a different height to create interest and variety. All the same, Kelly insists she wanted to stay true to the home’s roots. 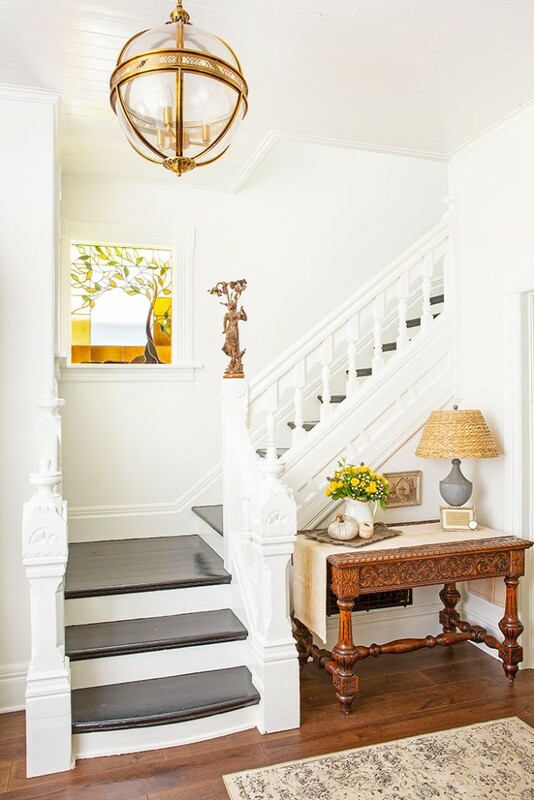 Many of the house’s characteristic features come from the original: unique light fixtures, an above-ground tub and old wood painted in fresh new shades. “When Victorians used wood that wasn’t that great, such as in the staircase, they meant for it to be painted,” Kelly says. So she made sure to paint the staircase—but with a style all her own. 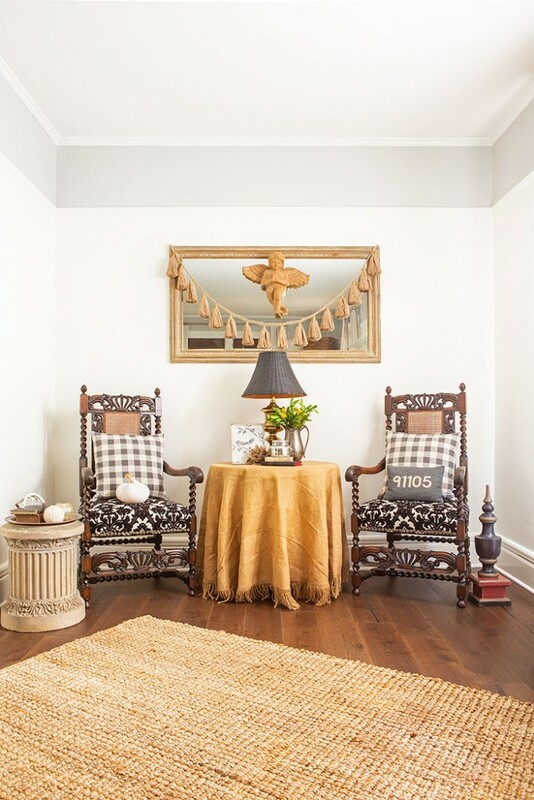 Kelly Wilkniss blogs at My Soulful Home, hosts a podcast and sells vintage and vintage-inspired home decor through her shop, Bespoke Decor.